HMAS Collins - Sydney Harbour - 25 Jan 2008. 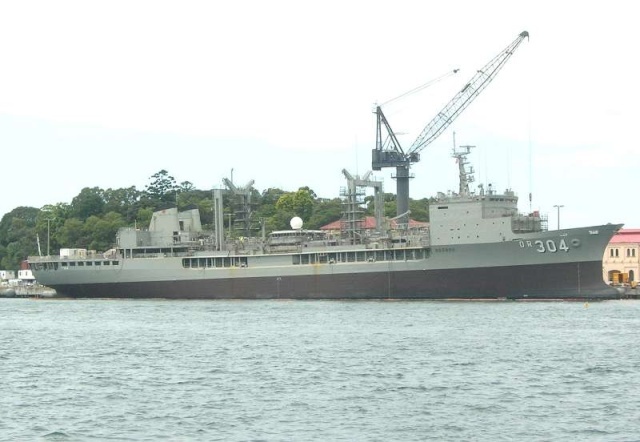 HMAS Rankin - Sydney Harbour - 25 Jan 2008. 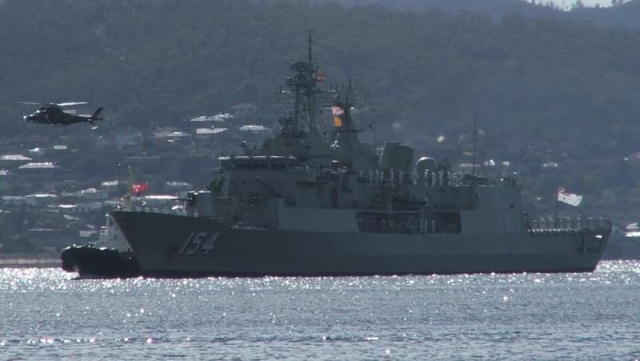 HMAS Armidale - Sydney Harbour - 25 Jan 2008. HMAS Adelaide - Sydney Harbour, Fleet Base Garden Island - 31 January 2008. 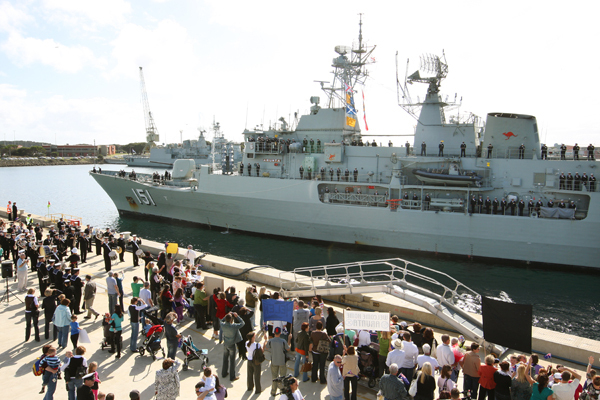 HMAS Success - Sydney Harbour, Fleet Base Garden Island - 31 January 2008. HMAS Paramatta at Station Pier, Melbourne 2 Mar 2008. 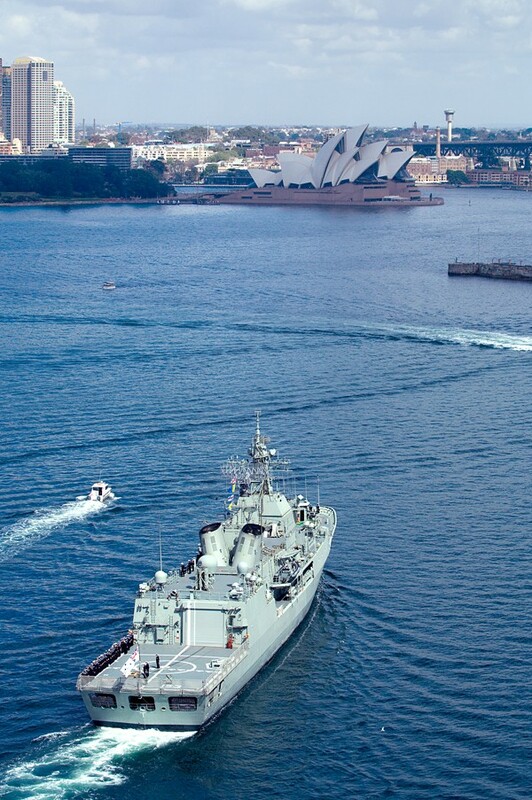 HMAS Stuart leaving Sydney Harbour for tour of duty in Persian Gulf - 31 March 2008. 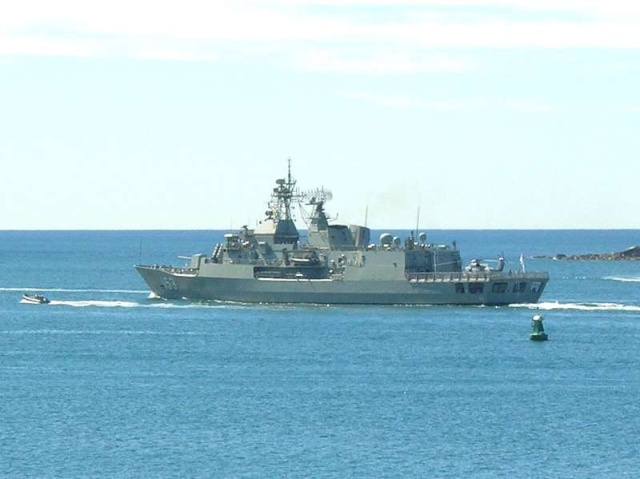 HMAS Warramunga (FFH 152) - Sydney Harbour, off Athol Bay - 4 April 2008, early. 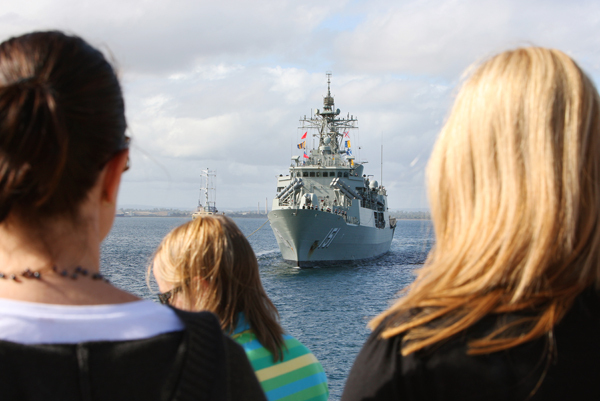 The Royal Australian Navy Anzac Class Frigate, HMAS Arunta, returned home today following a six-month deployment to the Middle East. Her ship's company of 183 men and women were greeted by Defence Science and personnel Minister, the Honourable Warren Snowdon, the Commander Australian Fleet, Rear Admiral Nigel Coates AM, RAN, and family and friends. 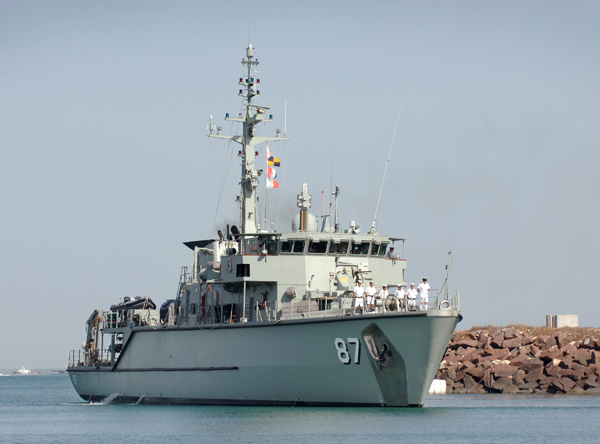 HMAS Arunta was stationed in the Northern Arabian Gulf as part of Operations Catalyst and Slipper, Australia's commitment to the reconstruction and rehabilitation of Iraq and the Global War on Terror. Arunta contributed to the protection of Iraqi oil platforms, conducted security boardings of all vessels proceeding to the platforms and performed ongoing training of the Iraqi Navy. In welcoming Arunta home, Rear Admiral Nigel Coates paid tribute to the ship's company and the important role that they fulfilled in the Middle East. This particular Mother's Day was particularly sweet for the seven Arunta families who welcomed newborn children during this deployment. Similarly, Chief Petty Officer Patrisha Chaplin and Petty Officer Sally-Anne Plewis had their children waiting on the wharf for a Mother's Day reunion. Whilst deployed, the ship steamed more than 21,000 nautical miles, conducted 500 queries, 110 surface searches and 35 security sweeps in the Gulf. Friends family and Navy personnel all gather on Diamantina Pier to welcome HMAS Arunta back home from the Persian Gulf. The Hon. 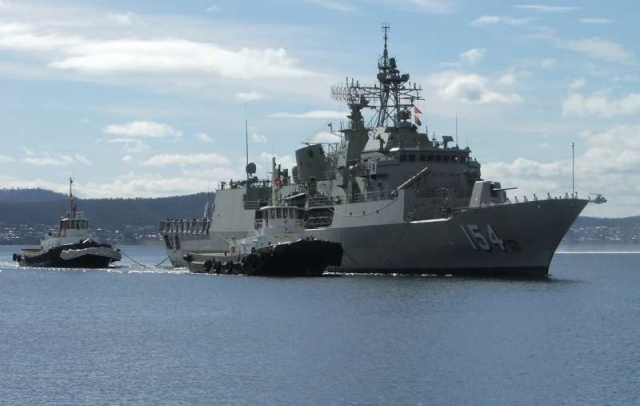 Joel Fitzgibbon, Minister for Defence, today announced that the Defence Materiel Organisation (DMO) successfully test fired the new MU90 Lightweight Anti-Submarine Warfare (ASW) Torpedo late last week. “While the MU90 Lightweight Torpedo has been successfully tested in Europe, this Acceptance Test and Evaluation exercise represents the first time an MU90 Lightweight Torpedo has been fired from an Australian warship,” Mr Fitzgibbon said. 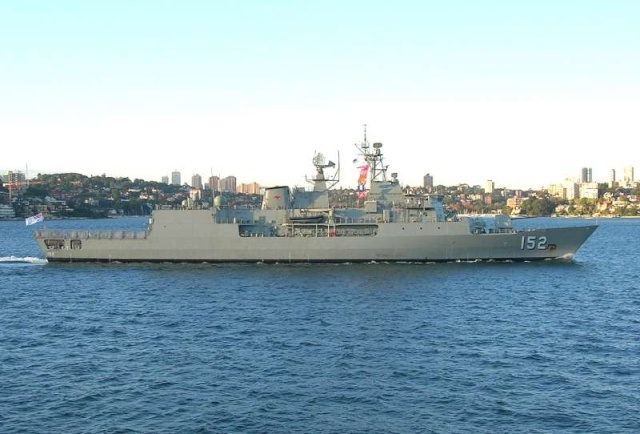 Mr Fitzgibbon said the test firing from HMAS TOOWOOMBA at sea in the Western Australian Exercise Area approximately 30 kilometres off Mandurah in Western Australia was a milestone for the DMO’s Joint Project 2070, Project Djimindi – Replacement Lightweight ASW Torpedo. “The new MU90 Lightweight Torpedo will provide a significant upgrade to the Anti-Submarine Warfare capabilities of the surface combatant platforms of the Royal Australian Navy (RAN), including the RAN’s FFG and ANZAC frigates,” Mr Fitzgibbon said. The MU90 Lightweight Torpedo is being acquired in a three-phase program worth $616 million at January 2008 prices. Defence selected the Eurotorp MU90/Impact torpedo in 1999 after a competitive tender. The MU90 Lightweight ASW Torpedo is 3 metres long, weighs 300 kilograms, has a range of greater than 10 kilometres and is designed to track and attack quiet-running submarines at depths to more than 1,000 metres. MU90 Light Weight Anti-Submarine Warfare Torpedo on Initial Exit from the torpedo tubes from HMAS Toowoomba. 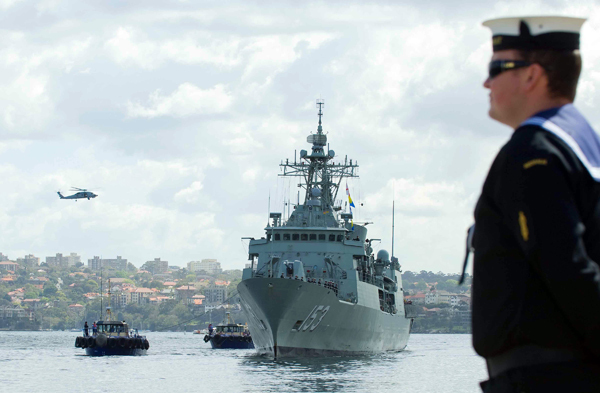 HMAS ANZAC is the first of her class and a modern warship, capable of operating in a multi-threat environment. 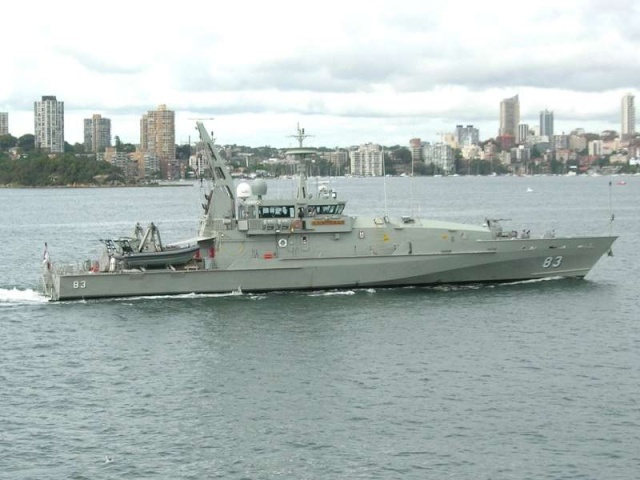 ANZAC’s design is based on the German Meko 200 Class that uses modular construction methods. 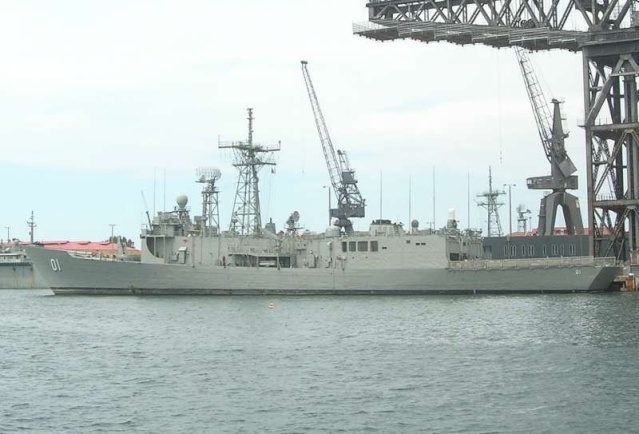 ANZAC is fitted with an advanced package of air surveillance radars; hull mounted sonar and electronic support systems that interface with state-of-the-art weapons systems. ANZAC’s armament comprises a five-inch gun, Harpoon missiles, Evolved Sea Sparrow Missiles (ESSM) and ship launched Torpedoes. Multi-role Sikorsky S-70B-2 Seahawk helicopters can be embarked to enhance anti-submarine and anti-surface warfare capabilities. 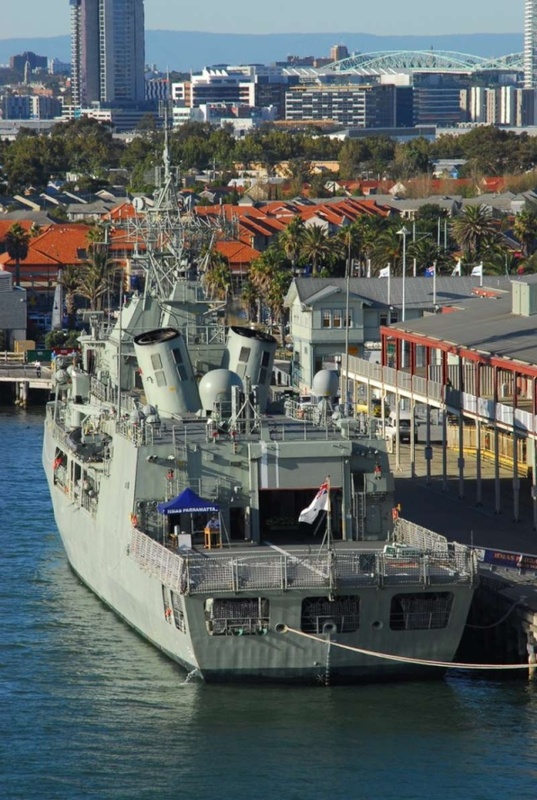 ANZAC is the third Royal Australian Navy ship to carry the name of an Australian legend. 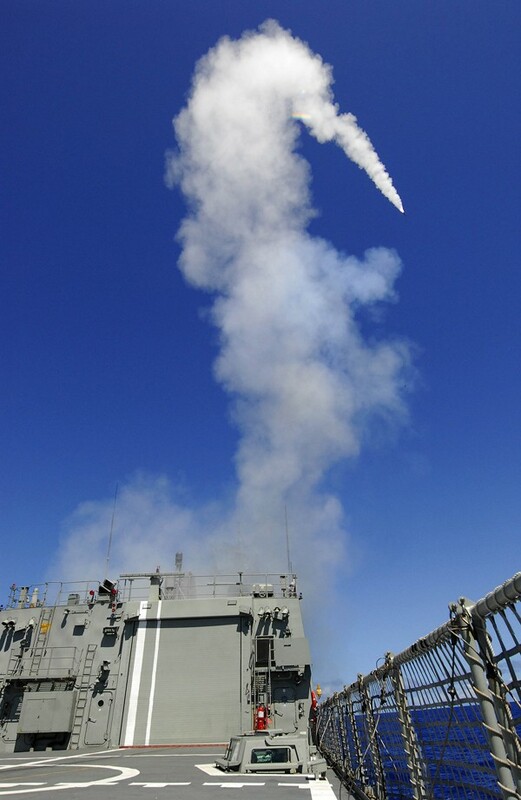 "Missile Away" as the crew of HMAS ANZAC launch an Evolved Sea Sparrow Missile (ESSM) during the extensive combined operations at sea during Exercise Rim of the Pacific (RIMPAC) 2008. The Minister for Defence, the Hon. Joel Fitzgibbon MP, today congratulated the crew of the Australian submarine, HMAS Waller, for being the first submarine to successfully fire a new heavyweight torpedo that has been jointly developed by Australia and the United States (US). 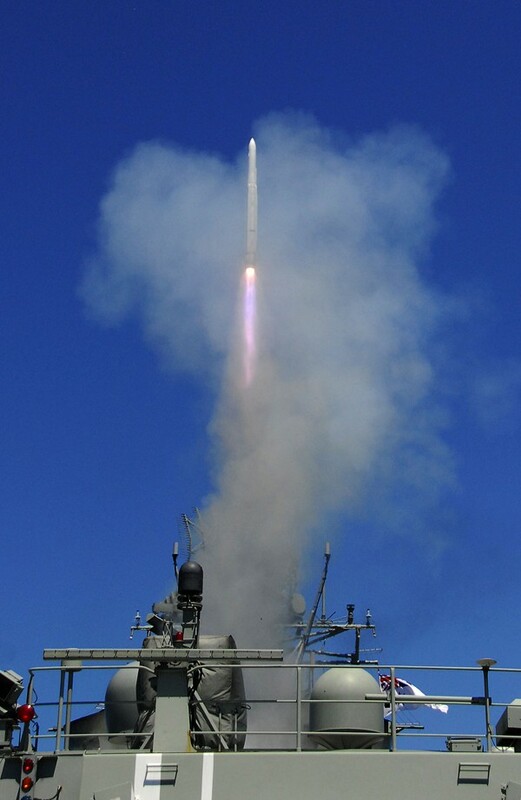 The firing occurred during the Rim of the Pacific 2008 (RIMPAC 08 ) exercise, involving multiple navies off the coast of Hawaii between June and July. This controlled exercise resulted in the planned sinking of a retired US warship. “This represents the first new heavyweight torpedo warshot to be fired by either Navy. Just as significant is the fact that the warshot torpedo was assembled in Australia,” Mr Fitzgibbon said. The MK 48 Mod 7 Common Broadband Advanced Sonar System (CBASS) torpedo is the latest enhancement for the MK 48. Considered the world’s premier submarine-launched torpedo, the MK 48 Mod 7 represents a superior capability against both surface ships and submarines with sonar enhancements that make the torpedo an effective weapon in shallow water and in a countermeasure environment. The development of the CBASS torpedo has been achieved under an Armaments Cooperative Program between the United States Navy (USN) and the Royal Australian Navy (RAN). 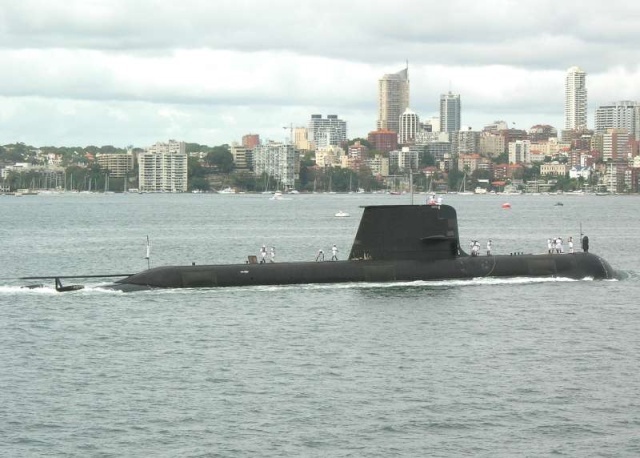 This partnership has established common requirements, interfaces, configurations and maintenance standards enabling any Australian or US submarine to load torpedoes prepared by any Australian or US torpedo maintenance facility. This submarine partnership has also led to co-development of a new replacement combat system, which is being progressively integrated into USN nuclear submarines and RAN diesel-electric submarines. This successful live fire exercise underscores the maturity of the joint torpedo and submarine combat system programs for the RAN and USN. 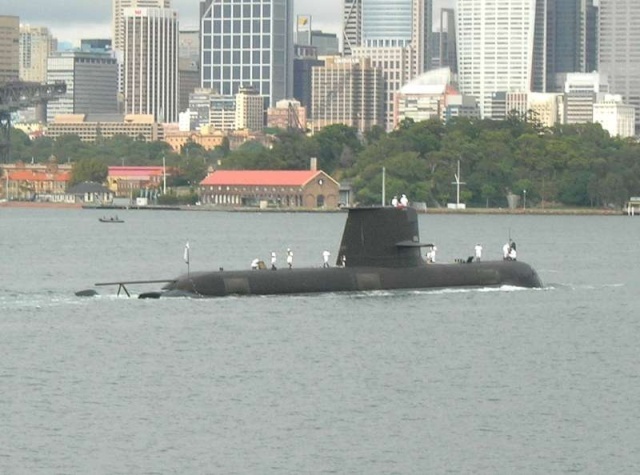 “For Australia in particular, this exercise has been a successful demonstration of the ongoing capability of the Collins Class submarine,” Mr Fitzgibbon said. 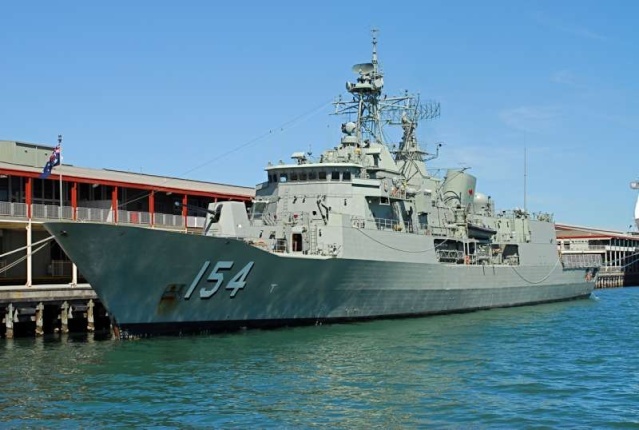 HMAS Yarra and HMAS Norman, Royal Australian Navy Huon class minehunters, leave HMAS Connawarra in Darwin for Exercise Bersama Lima. Exercise Bersama Lima is an annual exercise with air, ground and naval forces from Australia, New Zealand, the United Kingdom, Singapore, and Malaysia participating to practice inter-operability amongst the countries. This year, it will be conducted from 8-24 October throughout various locations on the Malaysian Peninsula and in the South China Sea. 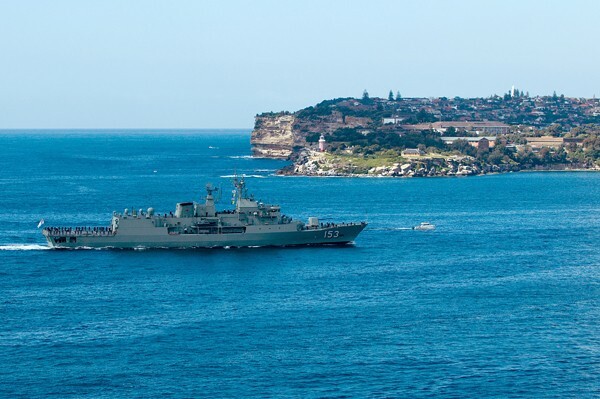 HMAS Stuart , a Royal Australian Navy Anzac Class Frigate, arrives home to Garden Island, Fleet Base East, Sydney, after a six-month deployment to the Middle East Area of Operations as part of Operation Catalyst.